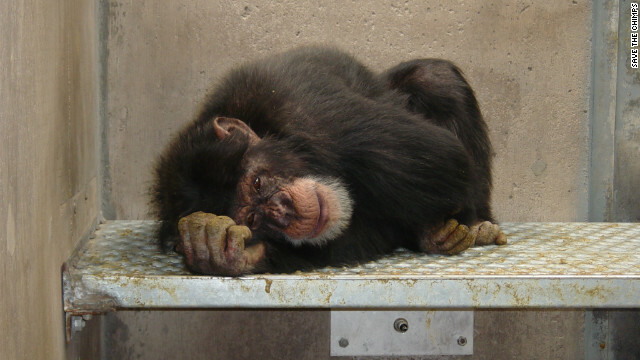 A petition was submitted by the Humane Society of the US, along with New England Anti-Vivisection Society and several other organizations to make all chimpanzees protected. This would make testing on chimpanzees illegal unless it was for benefit of the species. In response the US Fish and Wildlife Service has proposed a rule that would safe-guard captive chimps under the Endangered Species Act. Changing chimps from ‘threatened’ to ‘endangered’ might also help them to be harder to attain in the pet trade, which many people agree is a big problem (especially here in Texas). If you want to do your part to help, go here to send USFWS a letter stating your support to increase captive chimpanzees to their rightfully earned ‘endangered’ status. If you want to learn more about chimps in labs, check here.